Mice are critical in their role as an input device. They provide the primary means of communication to the computer. Just imagine having to use the keyboard all the time when surfing the internet. What a slow process! There are several considerations for a gaming computer mouse and lets take an in depth look at each of these. Ergonomics are the top priority for the gaming computer mouse. You want a device that you can use for hours and not feel discomfort in your wrist or fingers. 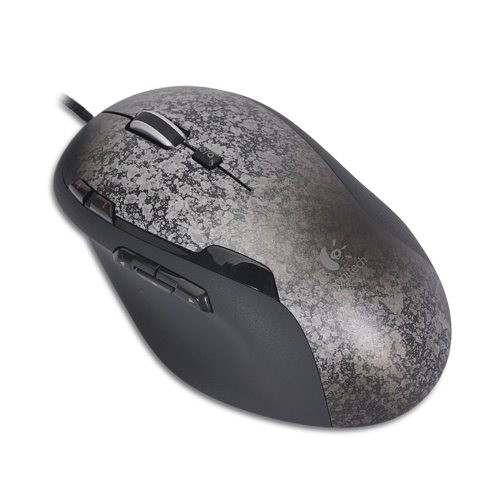 Over the years, the newer designs have improved on the comfort and feel of the mouse. Some of the great features on a gaming mouse include programmable buttons, wireless/bluetooth technology, and a scrollable thumb wheel. When deciding on a mouse, ask yourself, "what are the features I will use most often?" This will help guide your decision to the best mouse for you. For example, if you love having extra buttons that you can program on the fly, try looking for a mouse with lots of customizable buttons to meet your gaming needs. If precision and accuracy is your top concern, such as aiming a weapon in a first person shooter game, try looking for a mouse that has very smooth movement. Mice can range in price from the $20 range all the way to over $100. Ultimately, you need to decide what features are right for you and make your mouse selection based on your preferences. I recommend using www.TigerDirect.com for your gaming computer mice needs. They have a great selection of top quality gaming mice. If you are looking for a truly great yet affordable gaming mouse, check out the Logitech 910-001259 Gaming Mouse G500 . It has not only a great price but provides hours upon hours of comfort as you game away. In terms of comfort and reliability, you can search long and hard but the Logitech G500 Mouse cannot be beat. A wrist support device can also be used in conjunction with a gaming mouse. These inexpensive items can provide hours of continuous support while you are gaming. If you have ever experienced discomfort in your wrists from playing a game after an extended amount of time, I highly recommend trying a wrist support device. I recently purchased one and am so glad I did. For a mere $10, these will let you play for hours on end without any discomfort whatsoever. 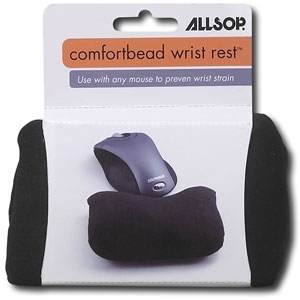 I recommend the Allsop Comfort Beads Ergonomic Wrist Rest shown in the photo above. Mouse pads can make a big difference to your gaming experience. The smoothness of the movements increases dramatically when using a mouse pad and this is important in games where precision and accuracy are critical to success in the game. Using a hard surface, such as a table can work but a great mouse really makes a difference in your movements when playing computer games. Please see out article here for a detailed guide on gaming computer mouse pads.